There are plenty of ways to speed up your wireless network at home, some as simple as changing the placement of your router. 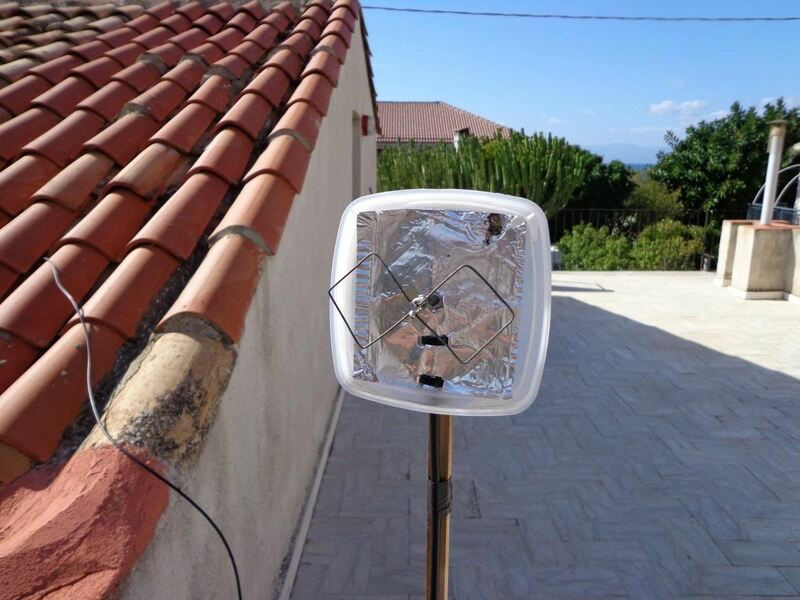 While you can always buy equipment to boost your signal, there are plenty of cheap or free DIY solutions you can try as well. Danilo Larizza shares a network between two apartments and wanted to see if an antenna would help speed up his connection. He built the simple one in the photo below with just a piece of thick wire, a soldering iron, some aluminum foil, and a plastic food container, much like this weatherproof one, which uses a sheet of brass instead of foil. After bending the wire into two squares, he soldered it to the coaxial cable and added some aluminum foil to boost the signal even more. The whole thing is enclosed in a plastic food container for protection and attached to a stake in a flower pot. If you're interested in learning a little bit more on biquad 2.4 GHz antennas, check out the brief video below. It doesn't get much easier than that. Danilo says his connection speed "went from erratic to 5.5 Mbit," so if you need a boost, it's definitely worth a try. Check out Danilo's post for more details and photos.